The Works, a supervised consumption site (SCS) next to Ryerson, will remain open after the Ministry of Health and Long Term Care announced closures to consumption sites in Toronto. However, it is unclear whether or not the site will receive any provincial funding at this time. In a statement to The Eyeopener, Toronto Public Health (TPH) said they “will continue to offer [their] current SCS and other harm reduction services” and are in ongoing conversations with the Ministry of Health and Long-Term Care regarding the status of The Works. “The overdose emergency in Toronto is a serious public health issue and remains urgent,” said Dr. Eileen de Villa, Toronto’s Medical Officer of Health. 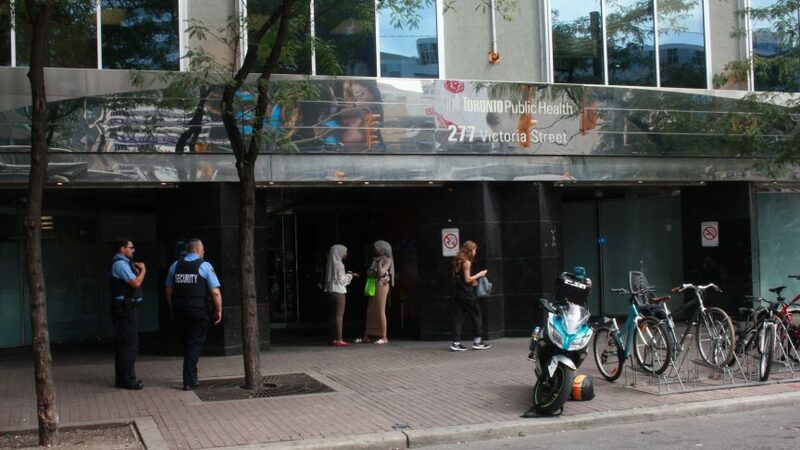 The Works has been open for almost 30 years and has been offering a place for Torontonians to use pre-obtained substances in a supervised and safe environment since 2017, says the TPH website. SCS allow users to use illegal substances via injection, oral consumption, smoking or intranasally on their premises. These sites are usually staffed with nurses, social workers and peer workers, according to the Canadian government’s website. The news comes after the Ontario government approved 15 consumption and treatment sites on March 29 as part of a new planned model. According to a press release, the approved sites are located in the areas with the greatest need. The newly announced model would implement an “ongoing monitoring and reporting plan” which would adhere to a comprehensive enforcement protocol, read the press release. “The site located at Toronto Public Health has been put on hold pending further review, as have two proposed sites in London, which were never [opened],” said the Ministry of Health and Long Term Care in a statement to The Eyeopener. “The numbers reflect people from our community and potential lives that were saved. We will continue providing these life-saving services to the community as we look forward to receiving more details,” said de Villa. In August 2018, the Conservative Government halted the opening of three new consumption sites in the province, according to Global News. According to TPH, The Works—located on 277 Victoria St.—received 50 visits on-site where overdoses occurred during March. Since the start of 2019, the site has received 8,916 visits overall. Ryerson University did not respond for a request for comment in time for publication.